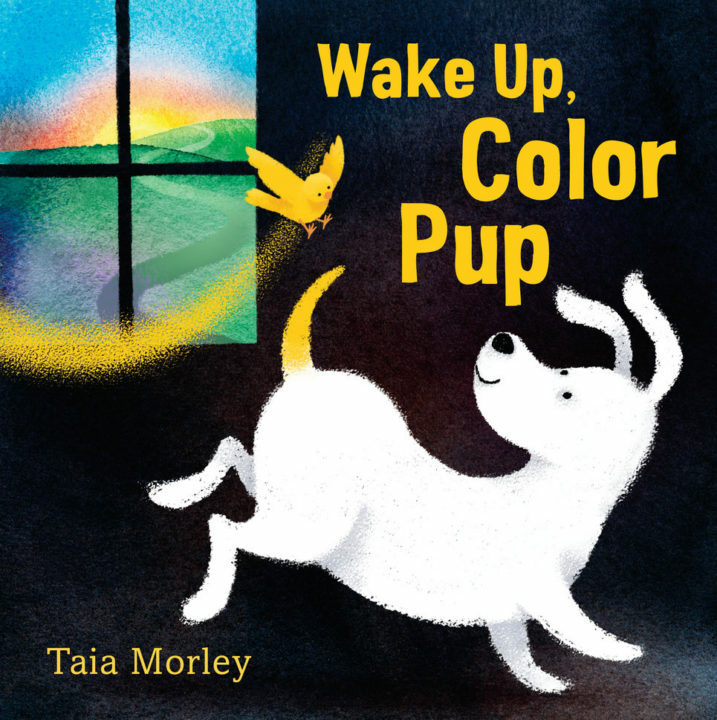 Young children will delight in seeing the puppy travel through his day, adding color to his coat. The puppy is greeted in the morning by a little, yellow bird. 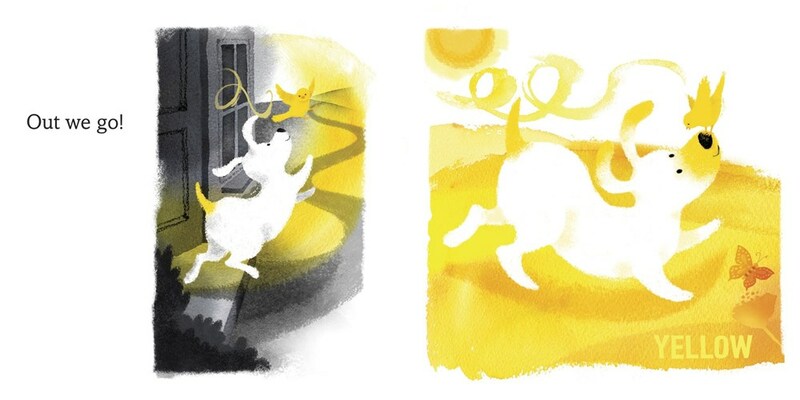 The puppy is white, but as he starts to engage with the yellow bird, a bit of yellow is added to his coat. As puppy greets more friends outside, more color is added to his coat. Orange from a butterfly, red from a lady bug, and green from the grass. Then a storm comes and when the puppy becomes scared, all his color washes away…until the yellow bird encourages the puppy to roll in a puddle and then splashes the whole scene in color. This sweet story introduces colors to toddlers as well as a willingness to explore and appreciate all the beauty outside. Read this book and then take your toddler for a walk outside to find all the colors in their world. Taia Morley has worked as a toy and game designer and is an illustrator whose work appears in books and magazines. 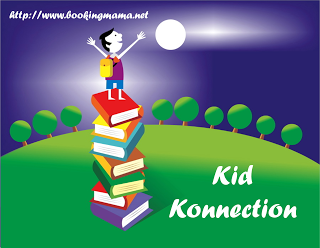 Her books include MY NEW BIG-KID BED and some titles in the HarperCollins Let’s Read and Find Out series. She lives in St. Paul, Minnesota. To learn more, and to download a curriculum guide for her latest book, visit taiamorley.com. What a fun way to learn colors!